BPS-2 is meant to be partnered with the Model 2 power amplifier or as a special version to power the Synergy 1, 2 or 2i preamp. 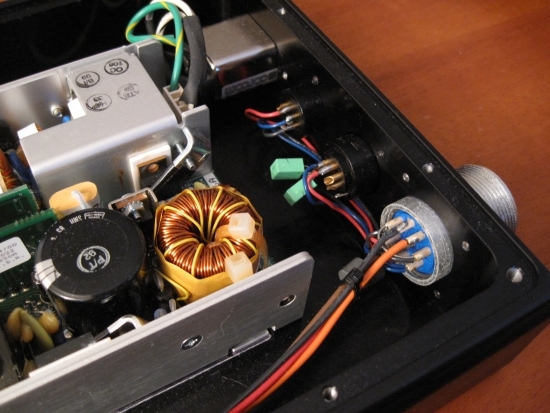 Adding a BPS to an amplifier is not only a means of separating the amp from dirty mains but it has an inherent added value for the sound quality. In my experience, and this includes a BPS1, BPS2, BPS6 and the Coherence BPS, adding a BPS to an amplifier makes for a more relaxed sound. Everything becomes slightly less aggressive and less edgy. You could almost compare the result to stereotypical analog sound and the sound without BPS to digital sound. Of course that is very much overstated but nevertheless, it goes a long way in explaining what to expect from the resulting sound. It isn’t all glory though, as adding a BPS unequivocally introduces some effects you may not want. For starters the rhythm slows down somewhat. It is not enough to proclaim the result “slow” but for certain music types that need speed and attack to sound interesting, adding a BPS will lessen involvement. But the beauty of a BPS is that you always have the choice to either switch it on or off. Do you need maximum attack and a lively presentation? Switch the BPS off. Do you want to relax in utterly unelectronical and smooth sounds? Switch it on! But there is more to a BPS. Beyond logic, even when running on battery power, the powercord connected to it still imprints its character on the sound. Whether this is because the powercable affects the other components connected to the same extensionblock or because inside the BPS it is still connected a household-circuitry that monitors battery status I don’t know. All I know is that you can still hear the character of the powercable, just like when using it straight into the amplifier, without a BPS. This is something to be aware of because it is easy to discard the idea based on logic. But as with a lot of things in the world of highend audio, I’m afraid all is not logical. What’s more, and this is not fact but an impression that I have, a BPS also imprints some of its character on the sound, even when it is not switched on. This is probably because the BPS is always in place, connected in parallel with the mains. When you switch on the BPS, all you actually do is switch off the mains feeding it. Therefore, the impression that the sound is less lively and speedy may well be the product of all kinds of distortion introduced via the mains. In general, the cleaner a signal, the less “impressive” the sound is. Again something that contradicts logic but I have found it to be true on many occasions. The same is true for extensionblocks. The better the material (ie more pure) the less aggressive the sounds gets. And in some setups, the lack of aggression is perceived as a reduction in attack or dynamics. Two lamps indicating the state of battery charge. Right hand green means loaded and ok, left hand red means low charge. That last state should not occur unless you leave the amp playing without AC or if the batteries are used way beyond their specifications. Above: the amp op top has the shorting cap on, which makes it capable of operating without BPS. 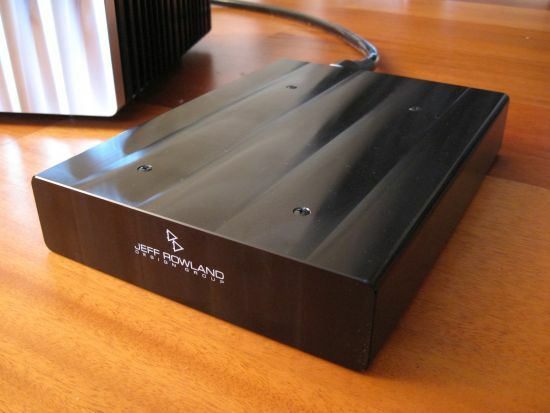 The BPS2 enclosure is the same as for the Model 2 amp in every way except for the top panel which is a simple and relatively thin (in Rowland terms) layer of aluminium, compared to the amp’s thick, milled version. Here the BPS rear is shown together with the thick DC umbilical cable. 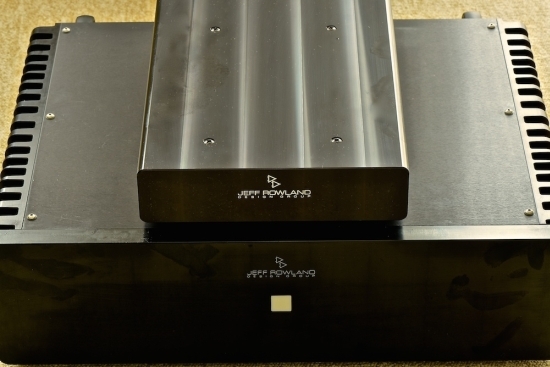 Special version of the BPS2: with separate charger for use with the Synergy preamp. The idea is the same and mimicks the Coherence II’s BPS part, but the application is a little different. 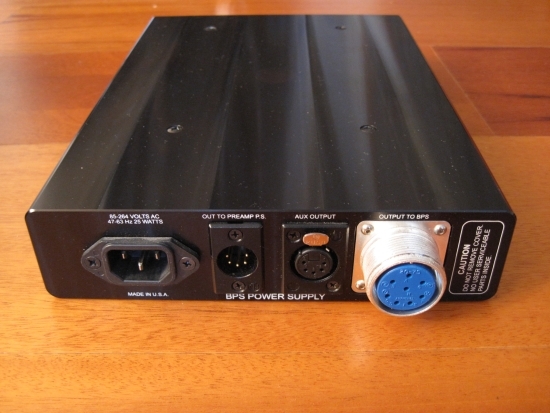 The special BPS 2 version for the Synergy preamp can only be used together with an external power supply, pictured above. The Synergy’s own power supply needs to stay in the loop but must not be powered. 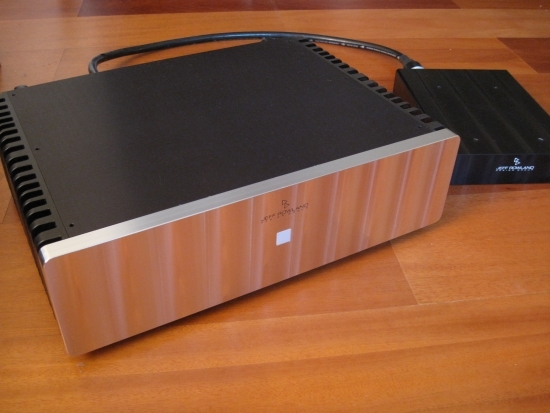 The external powersupply is connected to the Synergy’s existing power sypply’s Aux OUTPUT. Yes, you read that right: the new power supply output is connected to the existing supply’s output. This is possible because internally everything is wired in parallel. Black version of the BPS-2, with charger on top. 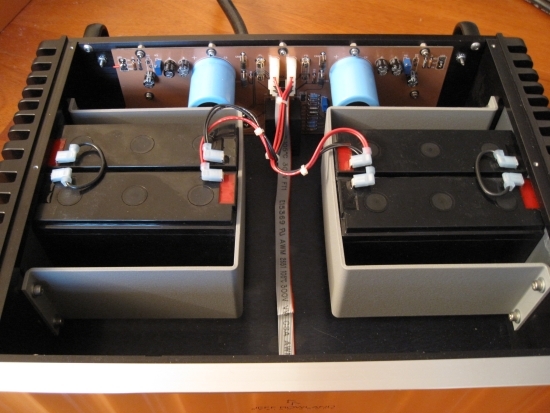 Above is the special BPS2 version for the Synergy preamp: there are 4 six volt batteries inside. 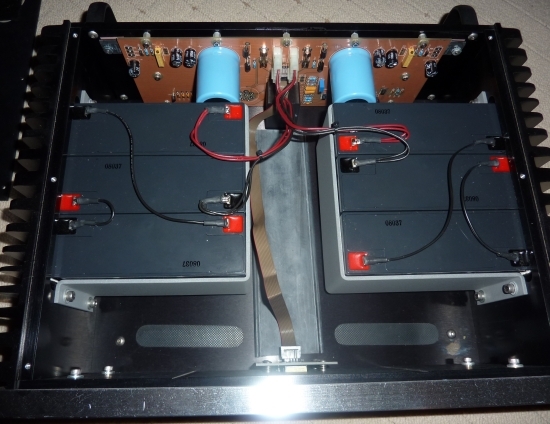 Below is a standard BPS2 for the model 2 power amp. This version has 6 batteries inside. With the introduction of the model 10, it was said (not by Rowland) that this new power supply was the more efficient equivalent of the older BPS. I have found that, at least in terms of sound quality, this is not true. 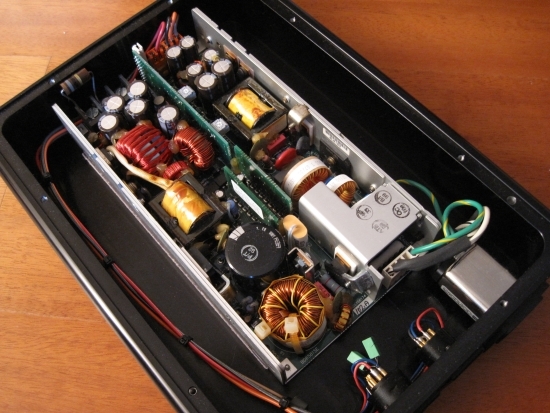 For starters, a switched power supply will always sound different from a linear power supply. Furthermore, adding batteries to the equation introduces the inherent more relaxed and fluid sound. I’m not saying that one is better than the other (although I do have my personal preferences) but there are distinct differences in sound between these very different techniques. The text below has been re-published from content that was formerly available on the official Jeff Rowland website. Rechargeable batteries can give many years of faithful service or they can fail in an annoyingly short time. Rechargeable batteries can indeed last a long time if applied properly, however poor charge management, more than anything else, is responsible for the difference between laboratory life and life in the hands of the consumer. Many otherwise intelligent engineers do not appreciate the importance of accommodating the needs of a battery. The few who do are often forced to submit to the pressure of the marketplace for smaller, lighter, and cheaper products without regard for service life. In the face of numerous challenges, why should you believe that Jeff Rowland Design Group’s Battery Power Supplies would provide a long and trouble-free life? As with all Jeff Rowland Design Group products, the same attention to detail that distinguishes our amps and preamps has also gone into the charge management of the BPS. After taking care of all the elements of good charge management, battery life comes down to charge/discharge cycles and battery temperature. The sealed lead calcium batteries used in JRDG BPS supplies are normally good for better than 200 deep cycles (discharged fully and recharged). Even this large number is probably low for an SLC battery, since many more, shallower cycles represent typical amplifier use. It would seem that half the depth of discharge would yield twice as many cycles; actually it is even better than that: cycle life improves exponentially as the depth of the cycle is reduced, so most BPS supply owners will not “wear out” their batteries. Heat is a battery’s worst enemy. Sealed lead calcium batteries are well sealed, as it is not practical to employ a true hermetic (impenetrable) seal. This means that over time water molecules slowly migrate through the battery’s case. After many years, failure occurs because of moisture loss. Failure is slightly quicker in ultra-low humidity environments, but it is temperature that exacts the greater toll. Every degree above the listening room’s ambient temperature lessens the battery’s life and quickens the eventual failure. 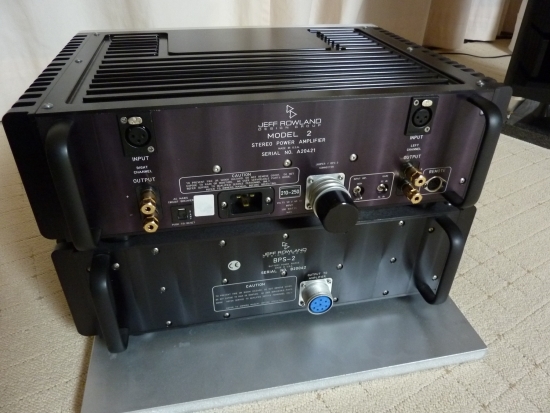 Therefore, mounting a hot load such as the amplifier in the same chassis is highly undesirable. 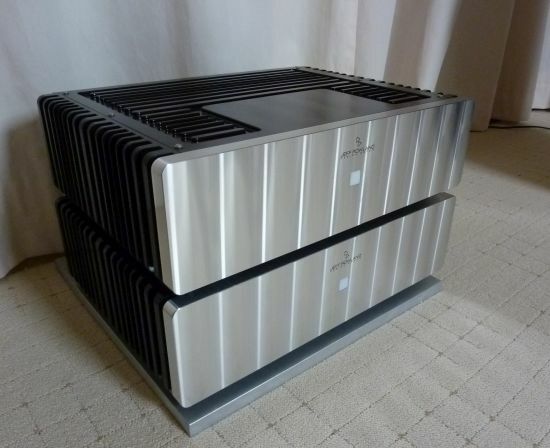 Normally this would also be the case for a heat source such as the charger, but the Jeff Rowland Design Group BPS uses the same type of machined chassis as the amplifier. Given the relatively small amount of heat generated by the charger and batteries, the temperature rise is relatively small. Keeping the BPS away from heating ducts, direct sunlight, fireplaces, and other heat sources will ensure a very long battery life. With proper care and treatment, it is not unreasonable to expect a battery life of approximately five to seven years. 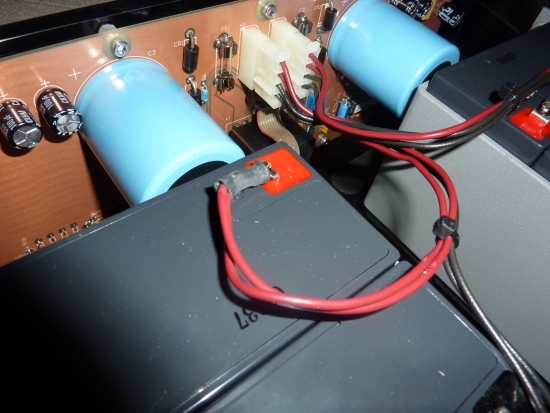 Despite the numerous sonic and engineering advantages of Jeff Rowland Design Group’s DC Power Supply (DCPS), some concern has been stated regarding premature battery failure and acid spillage. This uncertainty is understandable considering previous experiences with, and the reputations of, others; but it is nonetheless unfounded with the DCPS.Rechargeable batteries can give many years of faithful service(1) – or they can fail in an annoyingly short time. Battery manufacturers’ specification sheets predict hundreds, even thousands, of charge/discharge cycles and many years of service. Still, many people find six months or a dozen or so cycles in everything from children’s toys to cordless appliances to be more typical. Why is there such a discrepancy?In fact, secondary (rechargeable) batteries can indeed last a very long time if properly applied. Poor charge management(2) more than anything else is responsible for the difference between laboratory life and life in hands of the consumer. Many otherwise intelligent engineers do not appreciate the crucial importance of accommodating the needs of the battery. The few who do are often forced to submit to the pressure of the marketplace for smaller, lighter and cheaper products, without regard to service life. The widespread use of Nickel-Cadmium (NiCad) chemistry is a good example of a charge management nightmare. NiCads are very particular about how they are used. Expensive custom microcomputer chips are even available that are programmed solely to predict just how much charge a NiCad wants or can stand at any given moment. NiCad misuses are numerous: Charge or discharge too fast and they overheat and then vent or rupture. Discharge them too deeply and the weaker cells(3) of the battery suffer reversal(4). Partially charge and discharge them repeatedly and they “remember”(5) this service and do not deliver full voltage throughout their discharge. If mounted too close to a heat source such as the charger and they fail prematurely. (Heat in general is a major enemy.) Charge them for too long and the grow internal shorts and fail. NiCads can be charged too slowly as well. The perfect trickle charge rate for a brand new NiCad will not keep up with its much higher self-discharge(7) rate when it is older. NiCads are particularly bad in this regard. Left untouched, the go flat in a few months when new and go flat in a few days near the end of their service life. Since they always seem to be-dead when needed the most, people tend to charge them continuously. This can destroy a NiCad in just a few months, yet some manufacturers even recommend or design in this kind of torture! There are only a few applications where NiCads truly excel. For example, in a night watchman’s flashlight, Nickel-Cadmium can potentially deliver many more deep discharge/charge cycles than can competing chemistries. The watchman’s job provides the ideal charge management: The battery is mostly discharged through the watchman’s shift and gets just the right 12-16 hour C/10 (8) charge by the next day, with plenty of opportunity to fully charge; no time to overcharge; no time to go dead from self-discharge; gentle discharge; little opportunity for cell reversal or memory; and always ready when needed.In the face of such challenges, why should you believe that Jeff Rowland Design Group’s DC (Battery) Power Supply will provide a long and trouble-free life? 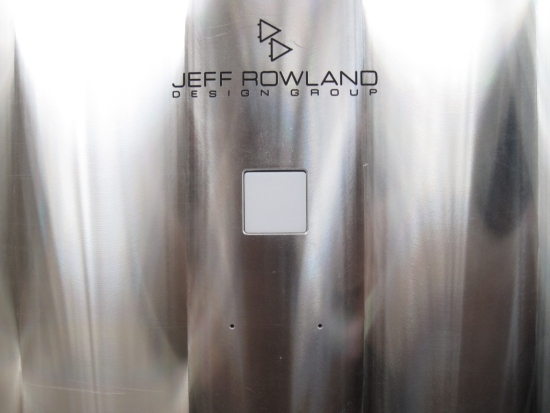 As with all Jeff Rowland Design Group products, the answer is simple: The same skill and vigorous attention to detail that distinguish our amps and preamps has also gone into the charge management of the DCPS.Starting with the battery chemistry, a proven and much more manageable type called absorbed-electrolyte Sealed Lead Calcium (SLC) was chosen for the DCPS. Unlike NiCad, which gives no reliable indication of its charge needs, the terminal voltage of an SLC battery will rise significantly, repeatedly and dependably as full charge is approached. Better still, SLC “first cousin,” the flood-electrolyte Lead-Acid (LA) battery, enjoys a reputation of lasting up to several years in the brutal environment of an automobile engine compartment. In the more civilized indoor world of a home audio system, SLC has the potential to last even longer than LA. However, unlike a Lead-Acid car battery, SLC batteries simply cannot leak! In a car battery, the lead and lead-sulfite grid plates sit in a bath of sulfuric-acid electrolyte and no sealing scheme has thus far completely eliminated the possibility of leakage. With SLC there is no bath of acid to spill. A small amount of electrolyte is absorbed by the plates and separators-about as moist as a flashlight’s dry cells. Even if the SLC battery was cut open, no acid would pour out.Another advantage of the absorbed-electrolyte (sometimes called starved-electrolyte) technique is freedom from “sulfation.” If a Lead-Acid car battery is run totally flat, its plates often become coated in a way that prevents the battery from ever accepting a charge again. This is not a risk with SLC batteries, since there is slightly less electrolyte present than is necessary to totally deplete the plates of lead-sulfate. From the plate’s point of view, the battery is never quite fully discharged.Cell reversal is as important a concern for SLC as it is with NiCad, but is much more manageable. SLC offers about 67% higher cell voltage at 2.0 volts per cell versus NiCad’s 1.2 volts. This means that an SLC battery’s voltage can drop substantially lower before the first cell reverses, making low-battery detection easier and more accurate. There are also 40% fewer cells to seal and interconnect for a given battery voltage.Utilizing a battery chemistry ideally suited to its task would not be of much benefit if it was abused by the charger. 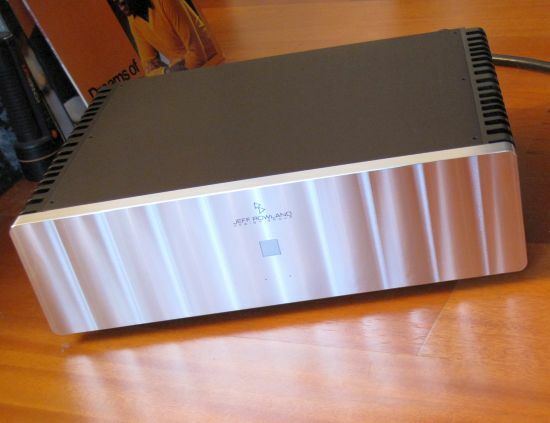 Jeff Rowland Design Group’s charge management method includes voltage regulation, current limiting and ripple filtration designed and built with the same care as if it was the amplifier’s main power supply.Voltage regulation ensures that the battery is maintained at precisely a full charge when the amplifier is in standby mode. Most common chargers are unregulated and tend to overcharge the battery when the line voltage is high and undercharge when it is low. Either case is ruinous to any battery chemistry. Any time an SLC battery is below full charge, it will demand as much current as the charger can deliver. Since very high charge rates are inefficient and heat both the battery and charger, current limiting keeps the charge rate under control. Ripple filtering is one of the most often overlooked elements of charger design. In either cyclic or trickle duty, filtering is relatively unimportant: The charger’s rectifier turns AC power from the mains and transformer into pulsating DC-60 pulses per second for a half-wave rectifier and 120 for a full wave. Each little surge of current through the charger’s rectifier simply adds to the battery’s charge. Float duty is quite another issue. Without filtering to smooth out the pulses, the battery goes through mini-charge/discharge cycles with each pulse and pause between the pulses. Although individually tiny, these cycles happen thousands of times an hour and cumulatively add up to a lot of wear on the battery.After taking care of all the elements of good charge management, battery life comes down to charge/discharge cycles and battery temperature. Sealed Lead Calcium batteries are normally good for better than 200 deep cycles (discharged fully and recharged). Even this large number is probably low for an SLC, since many more, shallower cycles represent typical ampIifier use, and the charger also contributes largely to the amplifier’s power needs. It would seem that half the depth of discharge would yield twice as many cycles; actually, it is even better than that. Cycle life improves exponentially as the depth of the cycle is reduced(9), so most DC supply owners will not “wear out” their batteries.Heat is a battery’s worst enemy. Sealed Lead Calcium batteries are well sealed, as it is not practical to employ a true hermetic (impenetrable) seal. This means that, over time, water molecules from the electrolyte slowly migrate through the battery’s case. After many years, failure occurs because of moisture loss. Failure is slightly quicker in ultra-low humidity environments, but it is temperature which exacts the greater toll. Every degree above the listening room’s ambient temperature quickens a battery’s eventual failure. Therefore, mounting a hot load such as the amplifier in the same box with the battery is highly undesirable. 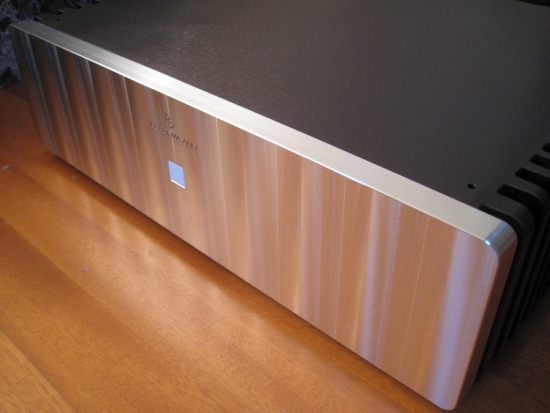 Normally this would also be the case for a heat source such as the charger, but the Jeff Rowland Design Group DCPS uses the same type of machined aluminum chassis as the amplifier. Given the relatively small amount of power dissipated by the charger and batteries, the temperature rise is similarly small. Keeping the DCPS and the amplifier away from heating ducts, direct sunlight and other heat sources will ensure a very long battery life. Since they have advantages, why are SLC batteries not more widely used? Quite simply, they cost a bit more and are slightly heavier than other batteries for a given storage capacity. We at Jeff Rowland Design Group believe that the potential for years of trouble-free service easily outweigh any aspects of their weight and cost. (1) Battery life in this discussion refers to service life, which is a measure of how many cycles or years a secondary (rechargeable) battery lasts until it will no longer accept or hold a charge. This is distinct from capacity, which describes how much energy a battery holds. (2) Charge management refers to how a secondary battery is charged and discharged. Much attention is paid to the charger and how it restores the battery’s charge; but we are really talking about an all-encompassing view of how the battery serves its product and also how it is treated. (3) Actually, the word “battery” is often misused. A “D” cell is a single cell and, technically, not a battery. However, a flashlight can contain a battery of two or more cells. A nine-volt transistor radio battery is indeed a battery since it is made up of several cells connected together. (4) Cell reversal happens when the weakest cells of a battery “go flat” first. The current flow from the stronger cells still travels in the same direction, but is now effectively backwards through the dead cells, charging them in reverse. When the battery is recharged, the reversal is usually corrected but the weak cells have become even weaker and will be more badly reversed in the next deep cycle. (5) “Memory”-effects (more accurately called voltage depression) are much less a problem now. However, in spite of battery manufacturer claims to the contrary, this effect has merely been reduced, not entirely eliminated. (6) There are three general categories of battery charging. In cyclic service the battery is alternately discharged (as with a night watchman’s flashlight battery). A cyclic charge rate can be fast or slow, but if the charging is primarily to keep the battery fresh in the face of its self-discharge, then it is called trickle charging. However, if the charger has to maintain the battery while a load is present on the battery at the same time, it is called float charging. (7) Just sitting on a shelf, all batteries eventually go dead, some substantially faster than others. The shelf-life of Lithium primary (non-rechargeable) cells is so good that better than 90% of their energy is intact after ten years. But the newest entry in the rechargeable field, Nickel Metal Hydride, has a self-discharge rate so high that it loses up to half of its energy in just a month. (8) Charge rates are often described as a ratio withe the ampere-hour capacity. In other words, C/10 would be a one amp charge rate for a ten amp-hour battery. Add a few extra hours for good measure and you have a proper overnight charge but far too much for a continuous trickle charge. (9) Very approximately, cycle life increases by 10 raised to the power of one, minus the depth of discharge. For example, how many 25% discharge cycles can be provided by a battery rated for 200 deep cycles? 200 x 10E(1-0.25)= 1125. The BPS-2/6/8 is ideally placed directly below the amplifier such that the BPS-2/6/8 provides a high-mass base for the amplifier chassis. The four Sorbothane pads (provided) provide mechanical isolation when placed between the two units. IMPORTANT – Failure to observe instructions in the following paragraph can result in serious damage to the BPS power supply. The AC power cord must be disconnected from the Model 2/6/8 amplifier when connecting or disconnecting the DC power cable between the amplifier and BPS-2/6/8. Remove the screw-on jumper connector located on the rear panel of the Model 2/6/8. Do not remove the black cover on this connector assembly. Simply unscrew the silver collet ring on the entire assembly. Connect the DC power cable (provided) between the amplifier and BPS-2/6/8. The AC power cable can now be reconnected to the Model 2/6/8. The amplifier can now be operated in a normal AC mode by pressing the front panel push button on the Model 2/6/8. If battery (DC) operation is desired, the front panel button on the BPS-2/6/8 should be pressed momentarily. If the button is held in too long, the BPS-2/6/8 may not switch on. 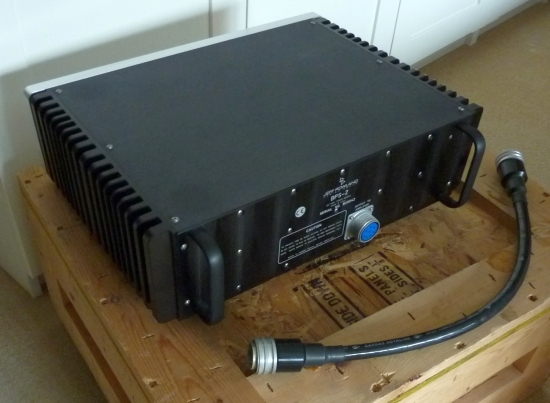 A relay noise will be heard and the amplifier will then be powered from the BPS-2/6/8. This will be indicated by the BPS-2/6/8 front panel button illumination. The amplifier and BPS-2/6/8 will operate in this mode continuously as long as AC mains power is supplied to the amplifier. Under these conditions, the charge management circuitry supplies sufficient charging current to prevent the batteries from becoming fully discharged. If the amplifier is operating from the BPS-2/6/8 (front panel button illuminated) and the AC power cable is disconnected from the amplifier, the amplifier and BPS-2/6/8 will continue to operate until the batteries discharge to approximately 50% capacity. This condition will be indicated by the illumination of the red pinpoint lamp (BPS-2/6 only), located underneath the front panel. The amplifier will only operate a few more minutes under this condition. If AC power is not soon restored, the charge management. circuitry will automatically disconnect the batteries from the amplifier, and the amplifier will automatically turn off. This cut-Off feature prevents deep discharge of the batteries which can lead to shortened battery life. Unless the batteries are significantly discharged, the green pinpoint lamp (BPS-2/6 only) located underneath the front panel push button will be illuminated to indicate a full or nearly full charge on the batteries. If the batteries have been significantly discharged during prolonged use without AC power and the above described cut-off condition has occurred, the charge management circuitry will not allow a repeated, user-initiated switch from AC to DC (battery) operation until the batteries have achieved a recharge capacity of at least 75% of full charge. Therefore, It is recommended that the user operate the amplifier with the AC mains connected at all times and the BPS-2/6/8 unit be switched off via the front panel switch (front panel illumination off) at the end of each listening session. This procedure will maintain the batteries at an optimum standby, fully charged condition and provide the longest service life. The batteries in the BPS-2/6/8 unit will always receive charging current as long as the amplifier is connected to AC mains power. Charging current will flow whether the BPS- 2/6/8 and/or amplifier is on or off. The BPS-2/6/8 incorporates recently developed Sealed Lead Calcium (SLC) rechargeable batteries. This battery chemistry is dramatically different than the more common and widely used Nickel-Cadmium (NiCad) chemistry. SLC batteries do not have the limitations of NiCad batteries such as charge and discharge memory effects, difficult charge management requirements and poor shelf life. The basic technology of the SLC is borrowed from the century-old, common lead acid battery which boasts a reputation of lasting up to several years in the harsh environment of an automobile engine compartment. However, unlike a lead acid automobile battery, SLC batteries are not damaged (sulfated) after deep discharge and do not leak. All of the electrolyte is absorbed into the positive and negative plates and separator material Additionally, the use of special sealing epoxies and tongue-ingroove case and cover construction permit the SLC batteries to be used in any position except upside-down. There is no generation of corrosive gasses during normal use. The SLC batteries require only charging for maintenance and have exceptional discharge recovery and charge acceptance, even after deep or prolonged discharge. Do not leave the batteries in a discharged condition. Always recharge immediately if fully discharged. It is recommended to recharge the batteries at least every six (6) months if the BPS-2/6/8 is not in use for an extended period of time. Charging and storage should be within an ambient temperature range of 0°C (32°F) to 40°C (104°F). The model 9 amps used a two pin Fischer connector, male and female on each end with ground carried in the shield and shell. Sometimes the original rubber jacket would degrade and while not affecting the functionality of the cable, a new cable sheath, like heatsink tubing, could be installed over the degraded rubber. In these cases, the Cardas branding would be covered. The model 2,6 and 8 amps used an Amphenol brand connector of 8 pins to use when connecting BPS battery supplies. These also are all the same within their group and made by Cardas to JRDG spec. 17.5 in Wx22.O in. Dxll.4in.